So, here I am in Salvador, the city I was born in Brazil, after almost three years since my last visit. It’s an incredibly rich experience to be here after so long. I’ve been living abroad since 2006 and it’s interesting to notice how my perception of my own cultural roots have changed so much since then. The art or mental trick of making a social setting and behaviour within it appear as if the observer is encountered it as a stranger. If applied to mundane ‘taken-for-granted’ events, this can lead to unusual and original insights. Living abroad gave me a wide range of opportunities to experience strangeness. 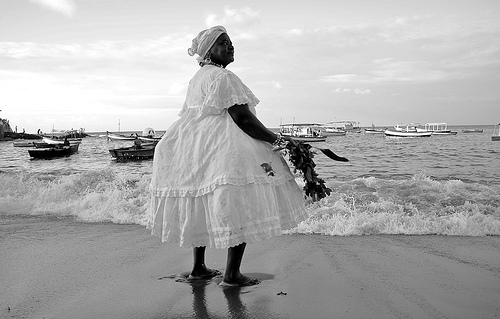 Salvador is a city where people are mostly Afro-Brazilians, relaxed, loud, informal, easy-going, welcoming, talkative, syncretically religious … you got the idea. I guess you can imagine how culturally shocking it was to move to Finland. Our move from Finland to England was much smoother of course. I’ve become much more aware of my own origins because it’s by recognizing cultural differences that you get to know your own culture more deeply. On the flip side, the experience of living abroad for a relatively long time inevitably involves some cultural adaptation: the more you stay abroad the more you end up blending in. And now, visiting the city I was born in after so long, I’m experiencing a sort of backwards strangeness. It’s like I’m starting to perceive my own culture from an outsider perspective. Many of those things that I used to perceive as a given in terms of social behaviour, weather, accent, slang, city organization, etc, are now things that I explicitly notice. It’s a bit like being a foreigner in your own country.